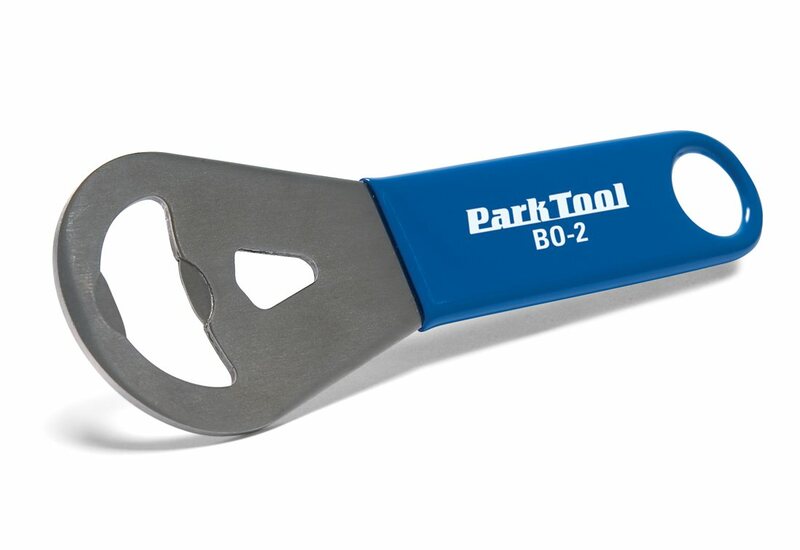 The Park Tools BO-2 bottle opener is a handy dishwasher safe bottle opener. Dig this beauty out every time there is a gathering at the house. Otherwise it rests with the tools waiting to open a tasty porter. HAHA!! It opens tasty beverages before and after a ride. You could also use it to open beverages at a party, a gather, or by yourself. It's a bottle opener I can hide with all my tools to my wife doesn't complain about my drinking. Plus its cool that it looks like a tool in my Box. It seems durable and opens bottles. What else do you need to know. Crack the nut on a tall frosty beer-bolt. Forget the loctite, this lid's staying off for the duration! Skol. Great product. Excellent quality. Great fit and feel in hand. I find I use it all the time - even to open up twist of beer tops. Best bottle opener I have ever owned. Wide handle is easy to use after you've used it all day and can't really see straight. Shuck off those tops quicker than a meth head ninja. I don't know if it's faster than my old bottle opener, but it feels faster. Imagine holding a cheeta in your hand then attack a beer with it. It doesn't grip the caps like an ape on steroids but I don't want to drink glass shards, so I'm glad. Tried to use this to open a can of whoop-@#s, failed. But worked great on beer bottles. Who knew. ?